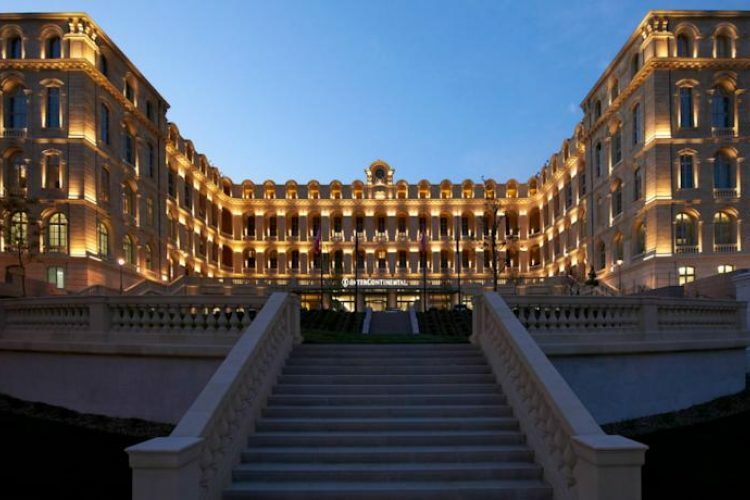 The epitome of luxury, this grand hotel occupies a striking building adjacent to Marseilles historic Panier district. You can enjoy a pastis aperitif on the terrace with views of Notre Dame de la Garde Basilica, before dining on Mediterranean dishes in the Michelin-starred Alcyone restaurant. Work out in the fitness room, swim in the indoor pool, or unwind with a treatment in the chic SPA by Clarins. Five minutes walk away, boats line the quay of the Vieux-Port, in the heart of the city. Largest Meeting Room Size: 4456 sq. ft.
We believe that incorporating societal and environmental factors in our business strategy and operations will play a vital role in the long-term viability of our business and the travel and tourism sector. We manage and minimise our impact on the environment by tracking and reducing the use of energy, water and waste. We also use bio-friendly cleaning materials and promote local sustainability initiatives such as low carbon alternative means of transport. 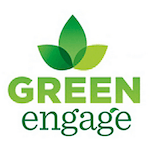 The IHG Green Engage system is our group-wide online sustainability programme. It allows hotels to track, measure and report on their carbon footprint and utility consumption as well as recommending more than 200 ‘Green Solutions’ which help deliver greater sustainability. • Biodiversity: keeping the disturbance of animals, plants and their natural habitats to a minimum. A set of recommendations aimed at preserving and protecting on-site local flora and fauna and the wider regional ecosystems has been developed. This includes advice on management of green spaces and long term strategies for protecting local environments. Absolutely stunning. What a fantastic place to stay. Already want to return. I love this place and normally want to give 6 stars, but breakfast today was slow, it took 34 minutes to get a mushroom omelette after reminding them 3 times. Coffee and tea were served after 10 minutes when we asked for it. Plus they did not know where the soya milk was (luckily I found it on one of the stands)! A really lovely property in Marseille. You are up on the hill and have a great view of the Notre-Dame de la Garde from the front. The hotel is in a building that served as a hospital for over 800 years so there is a lot of history to take in. The rooftop bar/lounge has swinging chairs and a bar to enjoy. We even had live music in the evening. The room was very comfortable, the bed was one of the best I've slept in. Staff was helpful in directing us to local places but was a little overbearing. I appreciate being thanked for being a loyal IHG member but after the 5th time thanking me I got the point. A silly thing to criticize the hotel for I guess. Overall this was a 5-star stay for us. I was here for a work conference. I found the staff to be very friendly and helpful. The view is stunning. Everything was quite memorable. Beautiful hotel with amazing location. They have a special children's services menu which is quite helpful for traveling with kids. Concierge service is useful and knowledgeable. The best InterContinental ever stayed. Luxury, relaxing atmosphere and excellent location. I've been there for a conference. Excellent facilities and staff. If they want to keep academics happy they may need to improve on their coffee. It’s a Hugh high class hotel! You get everything what you need! It’s very expensive surprise surprise. You have a beautiful view on the harbour and you’re just 5 min away from the water and all the restaurants. There is a exclusive park service and a really kind and friendly Crew ! Excellent !!! A very cosy and quite hotel close to the old harbour. A perfect service and a nice Spa! Delicious food! One of my favourite buildings in Marseille. The building has been developed and transformed over the past 800 years with the latest transformation occuring in the late 19th century. The Intercontinental is situated in the perfect location - up on a hill overlooking the Hotel de Ville (Town Hall), Notre Dame de La Garde and the old port. The luxury hotel sits infront of the popular and must see Panier district and the Vieux Port. Prices are hefty but with the terrace, architecture and view even a 10 euro espresso seems worth it! Nice place, lovely staff, but dear lord the coffee is horrible. Even more so since it’s 10€ for a doppio. No crèma, overburnt, no body or any flavor to speak of. Welcome to France. Actually the place is really beautiful. The arrangement of the tables and seating is such that everyone sees everyone but there is plenty distance for privacy of conversation and at the same time you can make eye contact with strangers. I had a wonderful stay. The service by the staff was fantastic. Concierge recommendations were perfect. Room was spotless and the bed was very comfortable. I highly recommend staying at the Intercontinental in Marseille! Excellent hotel, room size ok - it's Europe after all. Staff absolutely amazing, always smiling and helpful. Breath taking views with exceptional service. In a great location in Marseille, within a stones throw of the old Port. Excellent location, efficient staff. Breakfast can be crowded just before closing time. Swimming pool isn't up to expectations, though. Room is very nicely appointed and functional; lots of shelf space. Common areas like lobby and bar are very nice (view from bar is stunning). Staff is friendly. It's like living in a modernized castle. There's a beautiful courtyard to have breakfast and hang out with a drink after. The rooms are modern clean. The concierge polite and accommodating. Everyone spoke English. The included breakfast was delicious. Would come back to Marseille just to stay here. Perfection! The decor is modern, sophisticated and kept to the highest standards. The staff is friendly and helpful. Upon check in, they made us feel like celebrities. We found respite at their pool after a long day's journey from the US. Just steps out the door you wind into the old streets of Marseilles first stumbling into a soap shop then on to French bakeries, cafes and galleries. The location is convenient to many historic attractions and eateries. I would go to Marseilles again just to stay here. The hotel is beautiful. The room is very comfortable and spacious. The staff is very friendly and helpful as well. This hotel looks and makes me feel like I'm staying in a palace. However, access to the hotel is not as easy. There are very lengthy stairs to reach the hotel. Beautiful views, thoughtfully designed rooms, convenient location, friendly service, great food in and around the hotel. Gorgeous hotel in the heart of Marseille. We only had a quick over night atop during a road trip but we haven't stopped raving about wanting to go back since. Great service, and great recognition for Intercontinental Ambassador members. Top price with top friendly and efficient service. Amazing hotel overlooking the beautiful sprawling city of Marseille. The staff and management are truly best in class, and offer a truly rare level of hospitality. + Good service + Good foods + Comfortable hotel + Maybe the best hotel in Marseille - not direct view on old Harper needs 3 minutes walk. my two daughters and I stayed at this gorgeous hotel in the summer of 2015. One of the best experiences. We loved the hotel, the service, the location. We will absolutely stay there again! Decent spot, nice gym, great beds, appropriate breakfast selection, top reception staff. Fabulous views, friendly and helpful stay. Great location. Very beautiful place. The staff is excellent. The room could be better - nice, but not great. However, the shower is amazing. Elegante de grande de la hente. Muy agradable y lugar de alojamiento ideal.. Very nice, rich, bright and historical building. Comfortable place that easy to reach everywhere. İncredible staff.. Friendly reception. Lovely service. Breakfast buffet choises was better than a five-star equivalent hotel in the north America. Gorgeous hotel overlooking the old port. Helpful multi-lingual staff, great beds, large well-outfitted rooms, huge tub and lovely bathroom. No complaints. A very chic hotel in Marseille in what used to be the "Hôtel Dieu" hospital. The bar has a wonderful view. A real palace with great service and facilities. Incredible view over the old port. Polite staff, excellent food and wonderful views. Very nice and near the center hotel. Also very nice breakfast and bar. You have to try burger which even if it is not "French" it is totally juicy and well cutting meat. Service also is very polite and helpful. This is more of a full hotel review. Oh my god, the view of Basilica Notre Dame of the Garde is worth just visiting the hotel. The staff felt a little dry in English, but energized in french -- I attribute that to being a foreigner, as many of the other guests seemed to speak fluent French. The pool was wonderful, albeit hard to find (hint, it is located inside the Clarins spa). The waterfall and jets are a nice touch. I didn't get to experience the spa treatment, so i cannot comment on that. I had no problems with the restaurant or bar. My old fashion was served promptly, and the wine was courteously handled. The food was exceptional, and the service attentive. It was French service, so expect some waits. The largest surprise of the restaurant was the kids' menu: It was perfect. The staff even suggested ordering my son's meal first, to accommodate his lack of patience when he is hungry. The kids meal was on par with the adult menu, and he loved the desserts. It was wonderful to find something so kid friendly in such an upscale dining experience. The room is spacious and large. It appears to be a well done renovation. The bathroom is awesome. Overall, if you have a reason to visit Marseille, I recommend the Intercontinental. If you don't need a hotel, I would still recommend the restaurant attached.